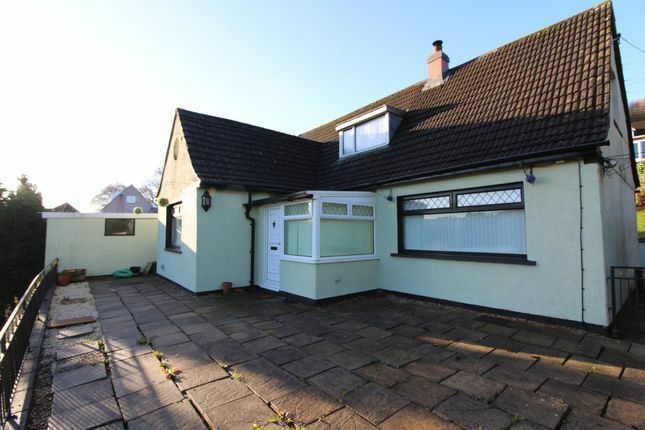 Summary Wayman & Co are delighted to offer for sale this dormer bungalow, three bedroom family home. Situated at the end of a quiet lane, the property offers a lounge with log burner, kitchen/dining room, utility room, ground floor bathroom, ground floor bedroom, in the eaves are a further two bedrooms with ample storage. Outside the house is surrounded by garden and views, to the rear access is via a lane with potential for off road parking. Must be viewed to appreciate. Porch UPVC door and windows leading to hallway. Hallway Stairs leading to first floor, store cupboard, papered finish to walls, carpet flooring. Lounge 11' 10" x 17' 7" (3.63m x 5.37m) UPVC windows to front and rear aspect, papered finish to walls, textured finish to ceiling with coving, log burner fire with surround, carpet flooring. Master bedroom 12' 3" x 13' 8" (3.75m x 4.17m) UPVC window to front aspect, cupboard housing wall mounted gas central heating combination boiler run from lpg, papered finish to walls, painted finish to ceiling with coving, carpet flooring. Bathroom UPVC window to side aspect, modern suite with panel bath with shower over, vanity wash hand basin with mirror over, WC, heated towel rail. Kitchen/dining room 9' 9" x 23' 1" (2.98m x 7.06m) UPVC window to side and rear aspect, UPVC stable door to utility room, matching base and wall units, bowl and a half single drainer dink, rangemaster oven with gas hob and electric oven, built in dishwasher and fridge, painted finish to walls with tiled splashback, painted finish to ceiling with inset lighting and coving, tiled finish to floor. Utility room/WC UPVC rear porch with plumbing for automatic washing machine and vented for tumble drier, sliding door leading to WC and wash hand basin, tiled floor. Landing UPVC window to front aspect, three store cupboards, papered finish to walls, carpet flooring. Bedroom two 11' 10" x 10' 9" (3.63m x 3.30m) UPVC window to side aspect, sloped ceiling, small doorway leading to store room, papered finish to walls, carpet flooring. Store room 8' 0" x 13' 11" (2.45m x 4.26m) Circular window to front aspect with coloured glass, limited headroom. Bedroom three 12' 1" x 11' 6" (3.69m x 3.52m) UPVC window to side aspect, built in cupboard, sloped ceiling, papered finish to walls, carpet flooring. Front garden Large patio to front, gate to side lane. Rear garden Mostly laid to lawn, driveway potential to increase for multiple vehicles, lpg cylinder, pathway leading to outside store and front patio. Garage only parking Located on access lane.